Handicraft ItemsJaipur Handicrafts OnlineTraditional bandhanwar for decorating walls and doorways. These wall hangings are not only increase the beauty of your walls, but also help to keep your home blessed, and keep negative energies out. 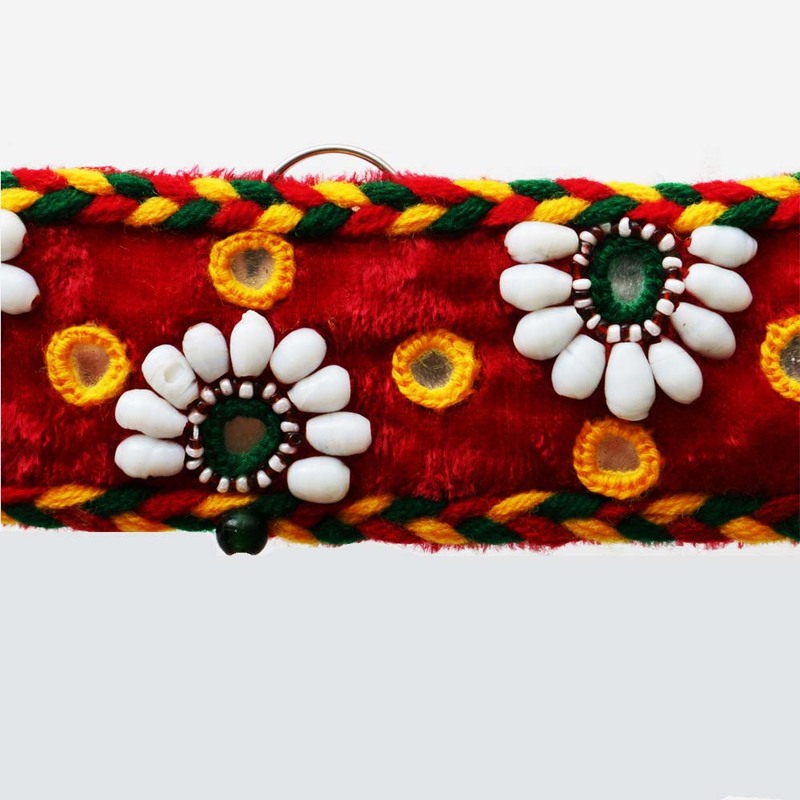 Read More..There are different elements to this particular bandanwar, with the most prominent being the wide strap that is used to hang this. 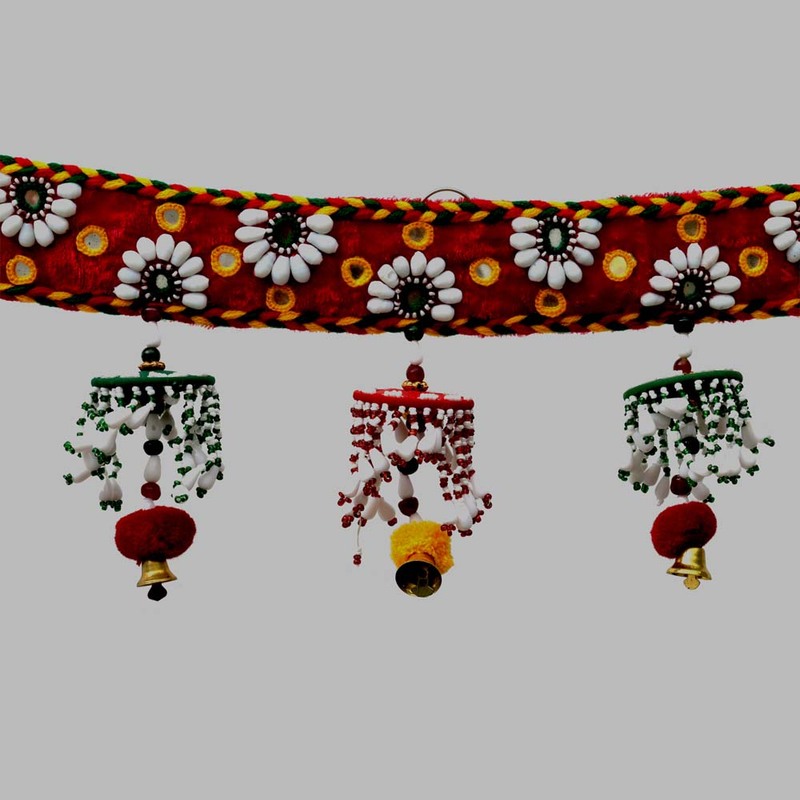 The floral pattern on the band, along with the individual hangings makes them look serene, and blessed. Show Less..